Port: the greatest, and WASP’iest, of all fortified wines. After a hiatus, I’m pleased to announce that the how to WASP is back! And to celebrate its return to the blogging world, I’ve decided to highlight one of my all-time favorite WASP’y indulgences: Port. Now that I think of it, Champagne would have probably been a better celebratory choice… but that will have to come later. So for now, Port! 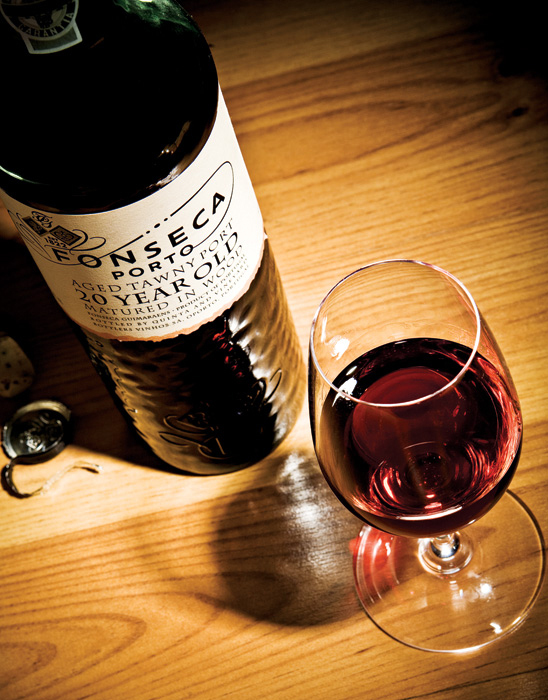 No, we’re not talking about the seaside variety (although confusion could be understandable given the focus of this blog), but rather the undisputed king of all fortified wines. When it comes to dining like a WASP, there is perhaps no better way to finish off a fine meal that a good glass of Port. However, the subject can be surprisingly complicated, so it’s important that you know the basics before you can order, and most importantly enjoy, that tote of Cockburn (see Next Steps below) with confidence and pride. Excellent question! And to provide and answer, it is necessary to take a brief trip back in time. Port, like most things WASP’y, is a product of the British and a dislike of the French. As most students of history will know, England spent a good portion of the last millennium fighting the French. However, by the 17th Century they ran into a problem. The Brits had developed a taste for Continental wine, but thanks to their most recent war with the French, they suddenly found themselves cut off. Their solution: simply get wine from Portugal (one of their few wine producing allies on the Continent) instead. A pretty slick solution, but another problem quickly became evident; Portuguese wine proved to be much less stable than its French counterpart As a result, the Portuguese wine would spoil during the extended sea voyages back to England. Fortunately for all of us, the classic sense of British stick-to-itiveness prevailed. They discovered that by adding a small amount of brandy (a process known as fortification) to the finished wine, it could be made stable to endure the long trip back to England and the wine we know as Port today was born. Now, you may be thinking “So that’s why it’s called Port, it’s from Portugal!” but you’d be wrong. The namesake of Port is actually the city of Oporto, located on the Atlantic at the mouth of the Douro River. This city is where the English set up their first Port Houses to distribute the newly invented wine and where they have remained ever since. In fact the world’s first Port producer, Warre (established in 1670) is still operation there today! 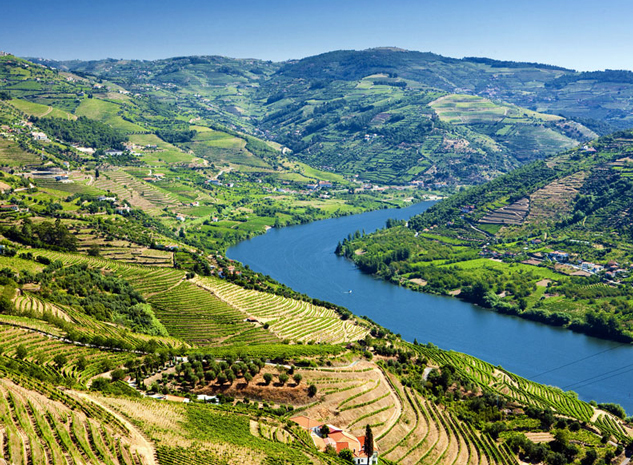 The Douro Valley, one of the most scenic wine regions on Earth and where Port is born. So Port wine comes from Oporto, which makes perfect sense, but it gets a little more complicated. While Port is distributed from Oporto, the wine is actually produced about 50 miles up the Douro River in the hot and ruggedly mountainous Douro Valley. This is where the grapes are grown and the wine is fermented. It’s then packed into barrels and sent down the river to Oporto, where it’s fortified, aged, bottled, and eventually shipped to Port lovers all over the world. Port has two constants: It’s always sweet, and (almost) always red. 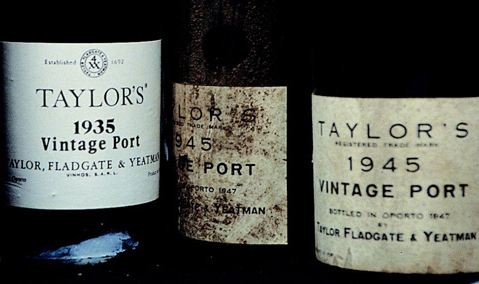 Beyond that, however, the varieties and styles of Port are nearly endless. Part of that variety is thanks to the sheer number of grapes that are permitted in Port. In most blended wines, you’ll see 3-4 grape varietals, tops. In Port there are more than 80! Although in practice the most common types used are Tempranillo, Touriga Nacional, and Tinta Barroca. While the grapes certainly play a role in nature of a Port, it’s really the style of wine that determines its ultimate character (and price). While there aren’t quite as many styles as grape varieties, there is still a lot to know, so pay attention! Below are some of the most common Port styles, listed from lightest to fullest. White Port: White Port is just that, Port made from white grapes. It’s not very popular and much more difficult to find that the red variety. It’s also generally known to be not anywhere near as good. I confess that I’ve never tried it myself, but I’ve heard that it’s best use is when served ice cold as a summer aperitif. Not really in the same league as red Port, but I included it here for the sake of knowledge. Ruby Port: The youngest and simplest version of Port. Just like the name implies, its typically deep red in color. It’s also fruity, sweet, and easy drinking. The wine itself is aged about 3 years in wood and is ready to drink as soon as it’s released. In fact the younger it is, the better it will taste. Ruby Port is also the cheapest Port available and often a great introduction to the wine. Tawney Port is the most common style available. Note the 20 year marking on the bottle, indicating the average aging of the wine in the blend. confusion is the age marked on the bottle, typically 10, 20, 30, or 40 year old. This is NOT the age of the wine in the bottle, but rather the AVERAGE time the wines used in the blend have spend aging in barrels. Tawny Port is generally less sweet and fruity than Ruby Port and offers more complex earthy/nutty flavors. It varies wildly in quality and price, from less than $10 to well over $100. Tawny Port is ready to drink upon release and won’t get better with age. Colheita Port: A sub-variety of Tawny Port where the blended wines are all from a single vintage, usually listed on the bottle. In other words the wines from a single year are placed in wooden barrels and aged (tawnied) for many years before being bottled. It’s generally better quality than regular Tawny, but not very common. Late Bottled Vintage (LBV) Port: This Port is made from a single, generally lesser quality, vintage year. The wine is fermented and then aged in wooden barrels for anywhere from 4-6 years before being bottled. The result is a darker, less soft, and much fuller style Port than the Tawny. LBV Port is marked with the vintage data and ready to drink as soon as it’s released. It’s fairly easy to find and you can expect to pay $20-30 for a half bottle, making it a fairly good value. Some older bottle of Vintage Port. Amazingly these are still drinkable and probably quite good. OK, enough with the academic stuff, now it’s time to for the fun part: drinking Port. As was mentioned earlier in the post, the good WASP will enjoy a glass of Port as an after dinner drink, which means you should too. Because Port is a sweet wine, it’s the perfect compliment to dessert. 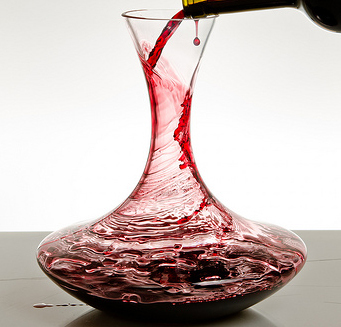 Proper Decanting is necessary to aerate and remove sediment from a Vintage Port. Of course Port can also be enjoyed without dessert on its own. Or for a truly classic paring, try a glass with walnuts, or any strongly flavored cheese (Bleu cheese is best). If you’re serving Port at home (or just want to impress your friends/annoy your waiter) it should be served at cool room temperature, or roughly 65 degrees. Most Ports can simply be poured and enjoyed, but properly aged Vintage Ports (don’t even think about serving otherwise) requires several hours of decanting to remove sediment and allow the wine to properly aerate. It may seem like a lot of work, but just do it, otherwise you’ll have wasted that $100 investment and worse yet, cast yourself as a WASP noob in front of all your friends. Port really is a wonderful wine and, unlike most things WASP’y, actually represents a phenomenal value. Port’s popularity has waned in recent years, which is bad for Port producers, but great for you as a consumer since low demand = low prices. Good quality Ruby and Tawny Ports can easily be had for less than $20. Even an expensive Port (like a $100+ bottle of Vintage Port) is a great deal considering a comparable quality dry red wine will cost hundreds, if not thousands, of dollars. Another value consideration is that unlike normal wines (that will start to turn bad a mere day or two after uncorking) Port will stay good for weeks, or even months, after opening. The reason of course is the fortification (adding brandy to wine to preserve it) that makes Port so special in the first place. After all, if it could survive weeks in the cargo hold of a ship, a couple days on your shelf is nothing. 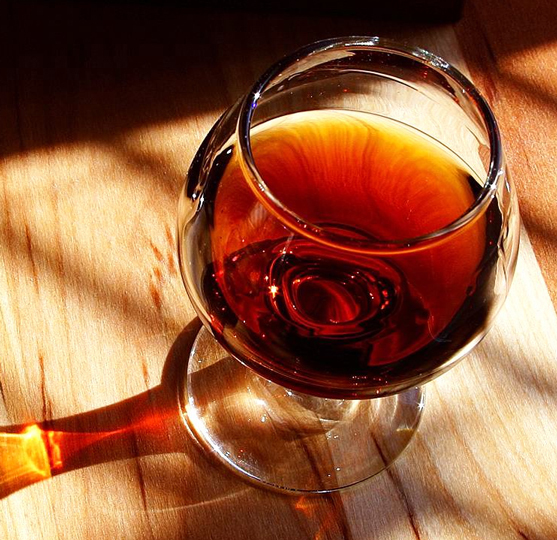 Oh, and one last parting word of warning… Because Port is a fortified wine, it will typically have an alcohol content that is far higher than normal table wine, usually anywhere from 15-25%. In other words, watch out! Generally speaking, a serving of Port is about half that of a normal glass of wine, so pour and enjoy accordingly. Cheers! The first step is obvious: Go out, buy some Port, and drink it! I recommend starting with a bottle of Ruby Port and working your way up from there. The beauty of Port is that it’s usually available in half bottles and cheap enough to try a bunch of different brands and styles without breaking the bank. And if it’s something you don’t care for, just pour it out or cork it up for a couple weeks till you can offer it to someone who does. Renwood in Amador, CA makes an exceptional Zinfandel based Vintage Port. style. Many wine producers (particularly in the US) make at least one port-style wine, often with very good results. Typically these wines are made with local varieties (Zinfandel makes particularly good Port wine) and will be sold as Ruby or sometimes LBV style Port. You’ll rarely see Tawney or Vintage offerings. Some makers can call their wines Ports (via grandfathered rights, otherwise Port is trademarked and can only be used for real Port) but most will not. You can identify them by their smaller bottles, alcohol content (around 20%), and usually find them along with the other fortified wines at the wine shop. Most high end restaurants will include Port (almost always Tawney, but sometimes Ruby’s or Vintage as well) on the dessert menu, which you should absolutely try. A popular offering is from a producer called Cockburn. This is a wonderful choice, but you can save yourself some embarrassment by using the correct pronunciation: COH-burn. Enjoy!